ISLAMABAD: Prime Minister Muhammad Nawaz Sharif has urged India to stop bloodbath in the Occupied Jammu and Kashmir and allow holding of free and fair plebiscite under the auspices of United Nations. The prime minister said that for the last seven decades Kashmir has been denied the right to self-determination as demanded by the international community through numerous UN Security Council Resolutions. Nawaz Sharif said in his message on the Kashmir Solidarity Day, “Pakistan calls upon the international community to raise its voice in seeking an end to the gross violations of human rights and the reign of terror unleashed by Indian occupation forces in IoK and fulfill the promises it made with the people of Jammu and Kashmir 70 years ago”. The prime minister said, “The people of Pakistan has joined their Kashmiri brothers and sisters in observing ‘Kashmir Day’ to reaffirm our moral, diplomatic and political support to the legitimate struggle of the Kashmiri people for their basic human rights, especially the right to self-determination, enshrined in the relevant UN Security Council Resolutions”. Meanwhile, President Mamnoon Hussain has said that the dream for peace in the region would remain elusive until the resolution of Jammu and Kashmir dispute in accordance with the aspirations of people of Indian Occupied Jammu and Kashmir (IoK). The president said that Jammu and Kashmir has been a core dispute between India and Pakistan. Hussain said that the Jammu and Kashmir dispute remained an unfinished agenda of the partition and it was one of the oldest disputes pending on the agenda of the United Nations Security Council. The president urged the international community to take a staunch stance regarding the matter and solve the issue. 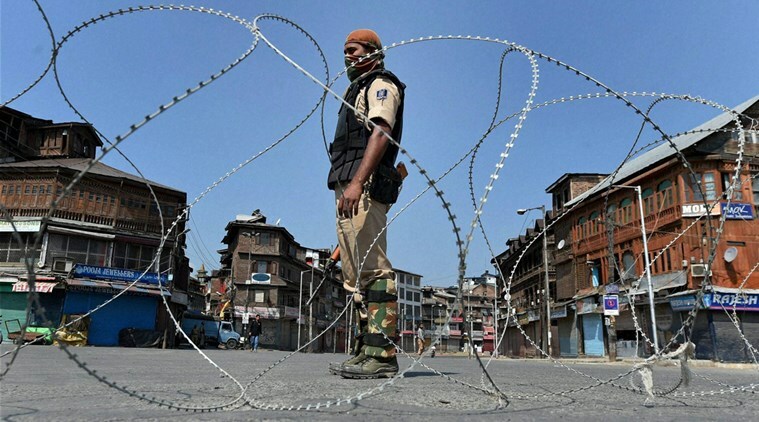 “The Kashmir Solidarity Day, observed every year on February, 5 has special significance this year because the recent uprising in Indian occupied Kashmir, following the 8 July extra-judicial killing of popular youth leader, Burhan Muzaffar Wani, has shaken the conscious of the international community”. Moreover, Khyber Pakhtunkhwa Governor Iqbal Zafar Jhagra has asked the people in general and the people of Khyber Pakhtunkhwa and FATA in particular to reaffirm their commitment to the Kashmir cause. The governor said, “The people should be ready to offer any sacrifice for upholding the just cause of the people of Kashmir and make their long cherished dream of getting freedom from the clutches of Indian occupation materialised”. In a meeting with delegations from Chanab Valley and Pir Panchal region, Chairman of Jammu Kashmir National Front (JKNF) Nayeem Ahmad Khan said that New Delhi has been engaged in genocide of Kashmiris and assured the delegations that the people of the Kashmir valley respected their sacrifices which they had been rendering for the Kashmir cause. In a telephonic talk with APP, All Parties Hurriyat Conference (APHC) Chairman Syed Ali Geelani has said that India has unleashed the worst kind of state terrorism in Jammu and Kashmir and the world community should take notice of it. “Kashmir solidarity day being observed by the people of Pakistan is a reminder for the world community to take notice of Indian state terrorism in Jammu and Kashmir, and Indian occupation of Jammu and Kashmir is illogical, illegitimate, irrational, immoral and unlawful”. All Parties Hurriyet Conference Chairman (APHC) Syed Ali Gilani and other Hurriyet leaders have expressed gratitude to the government and people of Pakistan for continued support to the Kashmir cause. PML-N Senator Lt-Gen (R) Abdul Qayyum said: “We will leave no stone unturned to highlight Kashmiris’ plight across-the-world”. Pakistan-China Institute (PCI) Chairman and Senator of Pakistan Muslim League-Q Mushahid Hussain Syed said, “We want to convey a clear message to India and the entire world that we stand with the Kashmiris”. Jamaat-e-Islami Chief, Senator Sirajul Haq praised Prime Minister Nawaz Sharif’s role in raising awareness regarding Indian atrocities, internationally.